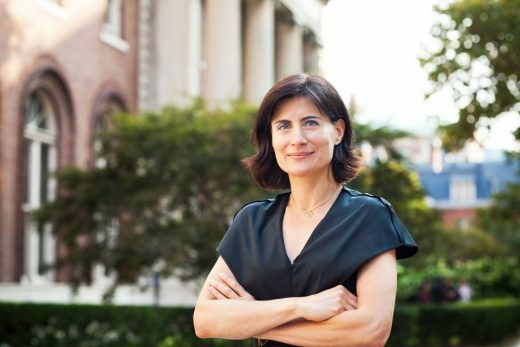 The Dallas Architecture Forum is pleased to continue its 20th Anniversary 2016-2017 Lecture Season with outstanding architect Amale Andraos, Dean of Columbia’s Graduate School of Architecture, Planning, and Preservation and co-founder of WORKac. WORKac has achieved international acclaim for projects such as the New Holland Island Cultural Center in St. Petersburg, Russia, the Blaffer Museum in Houston, the Children’s Museum of the Arts in Manhattan and the Edible Schoolyard at P.S. 216 in Brooklyn. Other projects include the winning competition entry for the Conference Center in Libreville, Gabon that will host the next African Union summit for heads of state. Under construction is the Eyebeam Art + Technology Center in Brooklyn which will explore the future of work, art, and technology. Andraos has taught at Princeton, Penn, the American University in Beirut, and the Harvard GSD. Her publications include 49 Cities; Above the Pavement, the Farm! ; and Architecture and Representation: the Arab City. 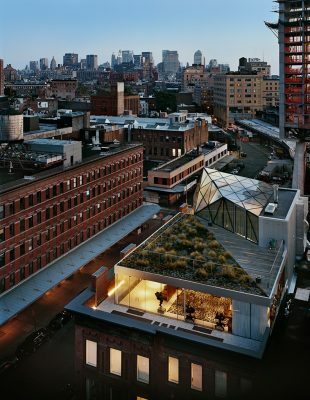 Andraos serves on the board of the Architectural League of New York. Recent honors include Architectural Record’s “New Generation Leader for Women in Architecture”, and the January 2017 “Game Changers” cover for Metropolis. 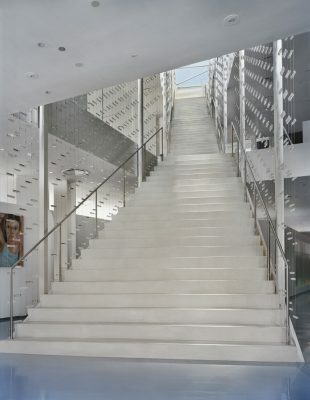 Andraos has also designed the NYC residence for Dallas native and fashion designer Lela Rose and the corporate offices for Diane von Furstenberg. 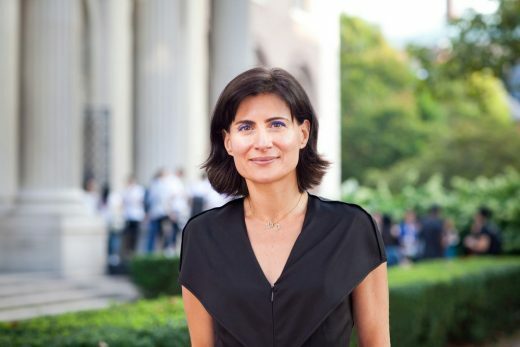 Amale Andraos is the Dean of Columbia’s Graduate School of Architecture, Planning and Preservation. 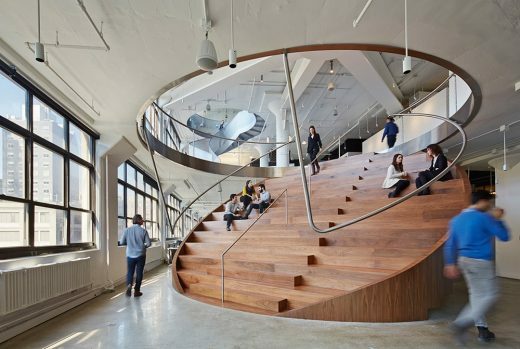 Andraos is a co-founder of WORKac, an architectural firm based in New York that focuses on architectural projects which re-invent the relationship between urban and natural environments. Since the founding of WORKac, principals Amale Andraos and Dan Wood have achieved international acclaim for projects such as the recently completed New Holland Island Cultural Center in St. Petersburg, Russia, Wieden+Kennedy’s 50,000 sq. 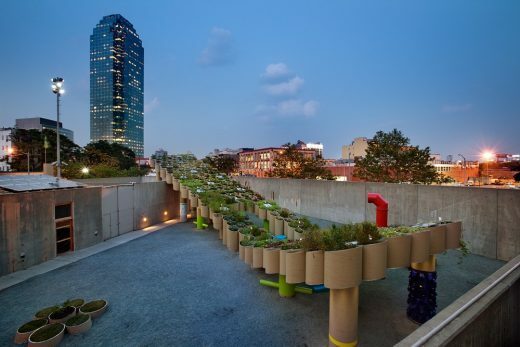 ft. three-story New York offices, the Blaffer Museum in Houston, Texas, the Children’s Museum of the Arts in Manhattan and the Edible Schoolyard at P.S. 216 in Gravesend, Brooklyn. Currently in Africa the firm is building its winning competition entry for a new 20,000 square meter Conference Center in Libreville, Gabon. Targeting LEED Gold certification, the project is expected to be completed soon and will host diplomatic meetings, including the next African Union summit for heads of state. In addition, the firm is currently designing a second Edible Schoolyard at P.S. 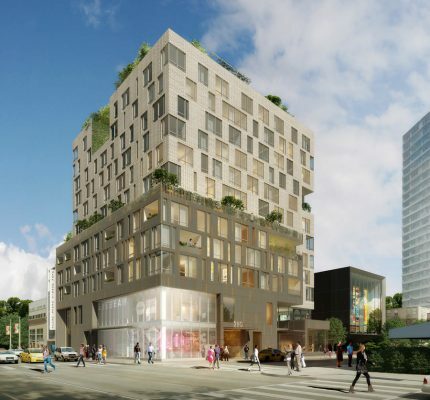 7 in East Harlem and exploring the future of work, art, and technology with the design of a new home for Eyebeam Art + Technology Center in downtown Brooklyn. 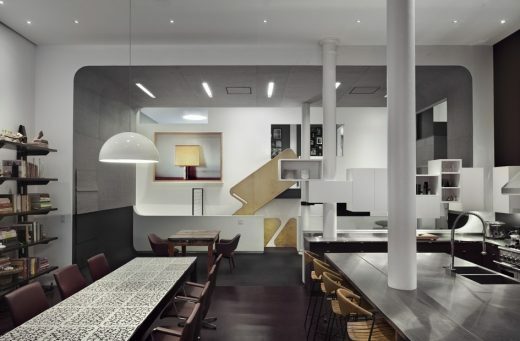 Andraos has also designed the NYC residence for Dallas native and fashion design Lela Rose and the corporate offices for Diane Von Furstenberg. 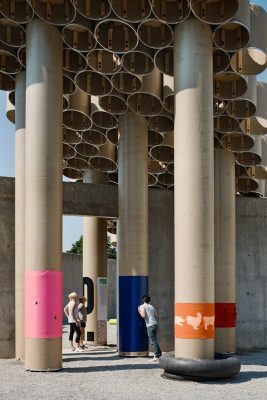 Andraos has taught at numerous universities including Princeton University School of Architecture, the Harvard Graduate School of Design, the University of Pennsylvania Design School and the American University in Beirut. 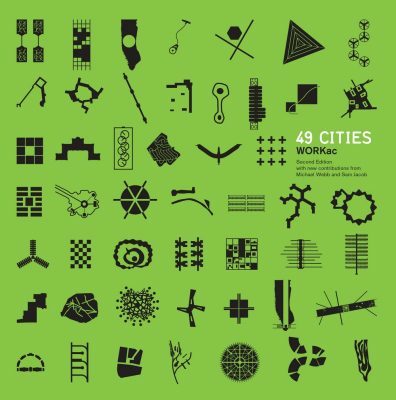 Her publications include 49 Cities, a re-reading of 49 visionary plans through an ecological lens; Above the Pavement, the Farm! ; and the forthcoming Architecture and Representation: the Arab City. Amale Andraos received her Master’s Degree from the Graduate School of Design at Harvard University and her B. Arch from McGill University in Montreal. Recent honors include Architectural Record’s “New Generation Leader for Women in Architecture”, and the January 2017 “Game Changers” cover for Metropolis. 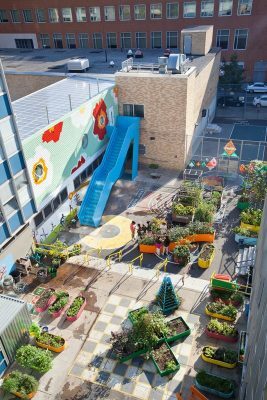 The first Edible Schoolyard in New York. 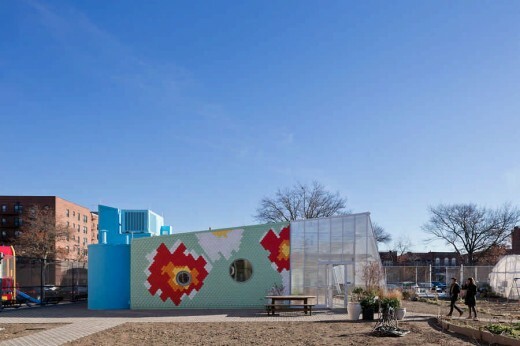 The project, to be located at what is now the school parking lot, consists of an organic garden, a mobile greenhouse, a kitchen classroom, and a systems wall containing a rainwater cistern, solar batteries and a chicken coop. Dan Wood, AIA, LEED received his BA at the University of Pennsylvania and a Masters degree from Columbia University. Wood is an Adjunct Professor at Princeton University’s School of Architecture. 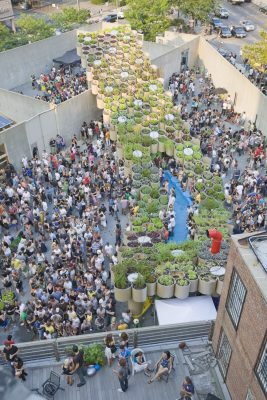 He has taught at the TU Delft, the Cooper Union, Columbia University, Ohio State University and the Berkeley School of Environmental Design where he co-teaches with Andraos as the Friedman Visiting Associate Professor. Wood is originally from Rhode Island and has lived in Paris and for many years in the Netherlands before moving to New York in 2002. 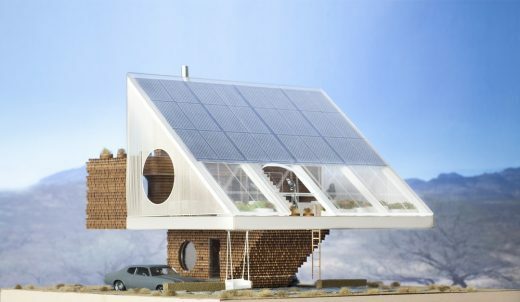 Dan Wood is a licensed architect in the State of New York. Amale Andraos received her B.Arch from McGill University in Montreal and her M.Arch from the Harvard University Graduate School of Design. She is an adjunct professor at Princeton University’s School of Architecture and has taught at numerous institutions including Harvard and Columbia Universities, the University of Pennsylvania, the Parsons school of design and the American University in Beirut. She is currently Visiting Distinguished Professor at NYIT. Andraos was born in Beirut, Lebanon. She has lived in Saudi Arabia, France, Canada and the Netherlands prior to moving to New York in 2002. 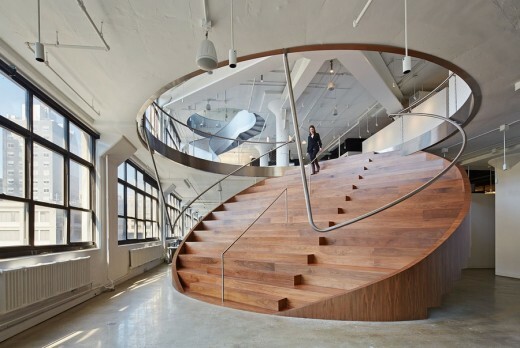 She serves on the Architectural League of New York’s Board of Directors. February 18, 2017 in Architects.